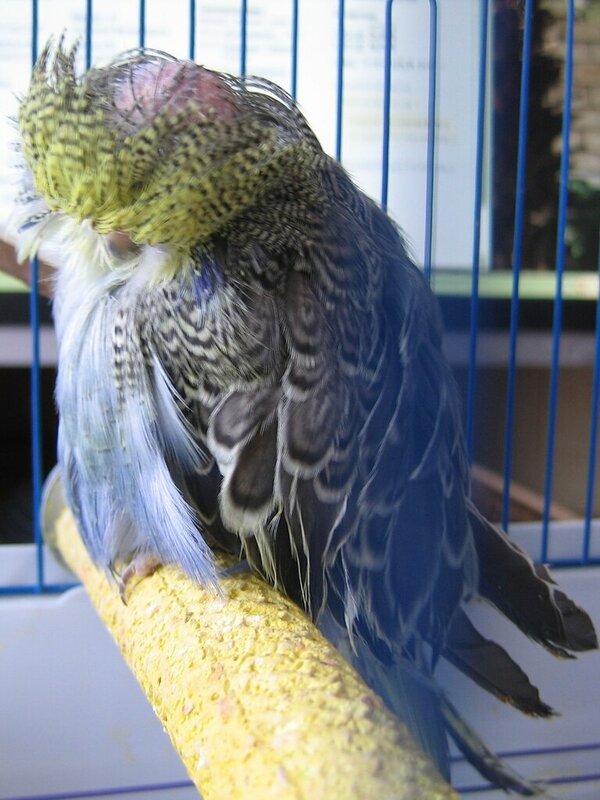 Hello everybody, just wanted to share the pics about my rare mutation bird. 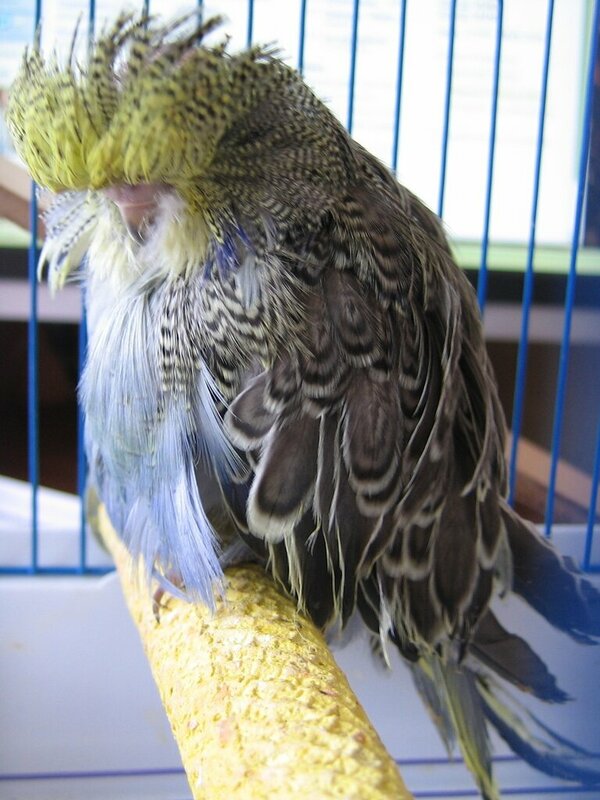 He's a GF Violet Cobalt Feather Duster. 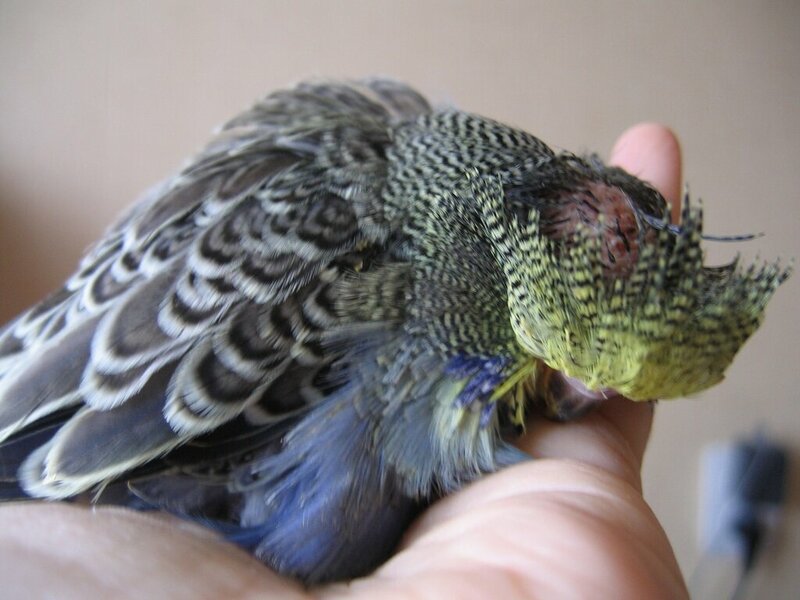 I know that these birds don't live for long, but I decided to do my best to give him the opportunity to live as long as possible. March, 11 I got a new pet. 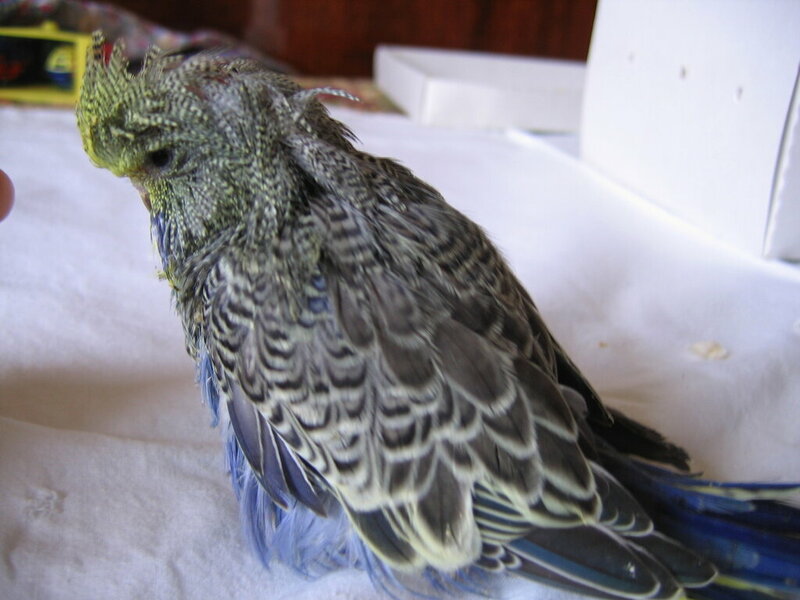 His mother pecked his nape and pecked his sister up to the death. 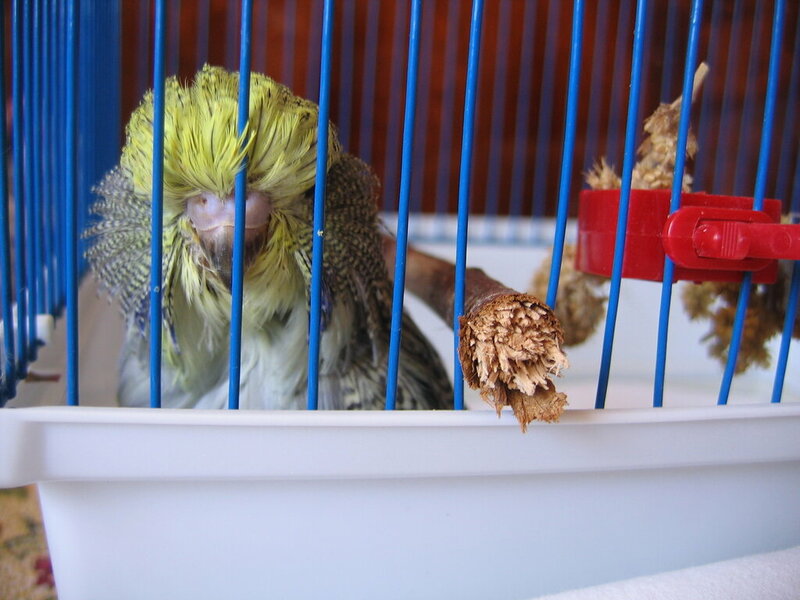 It was dangerous to leave his with his parents, and the owner offered me this babybird (he was 17 day at that moment). He's very cute and touching. He tried to eat the grains by himself but they were evacuated without digestion. I started crop feeding each 3 hours. They dont love long unfortunately BUT some live longer than others and I hope yours does too. You may learn something from that topic that may help you. There's a lot of people that euthanase them immediately its obvious what they are. It seems a heartless thing to do on face value but its also understandable when so many of these people have had the experience of them dying not long after leaving the nest. They are trying to save the poor creature any pain and suffering. 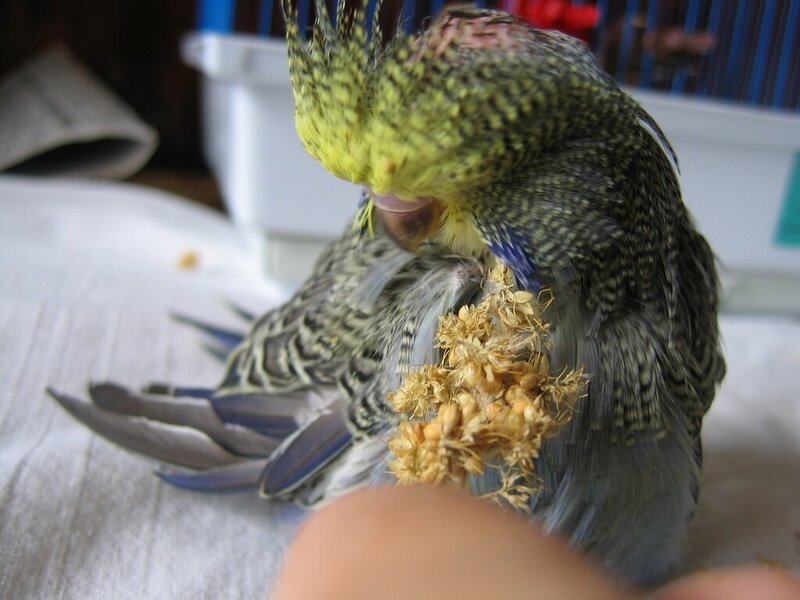 Hardest thing is keeping enough food up to them to sustain the excessive growth of feathers. corzstunt, Kaitlyn, **KAZ**, thank you. **KAZ**, I've already read your thread about Dusty. Yes, it's very useful. 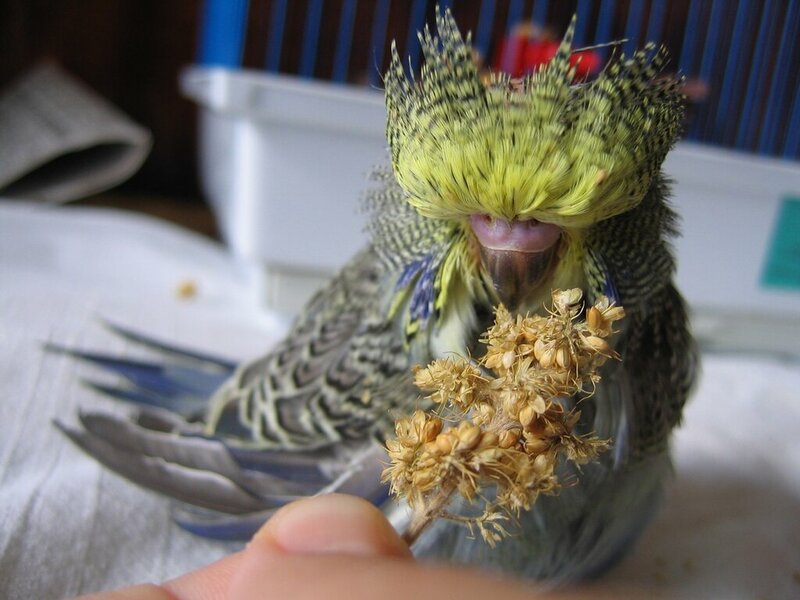 Dusty was a nice cute bird. 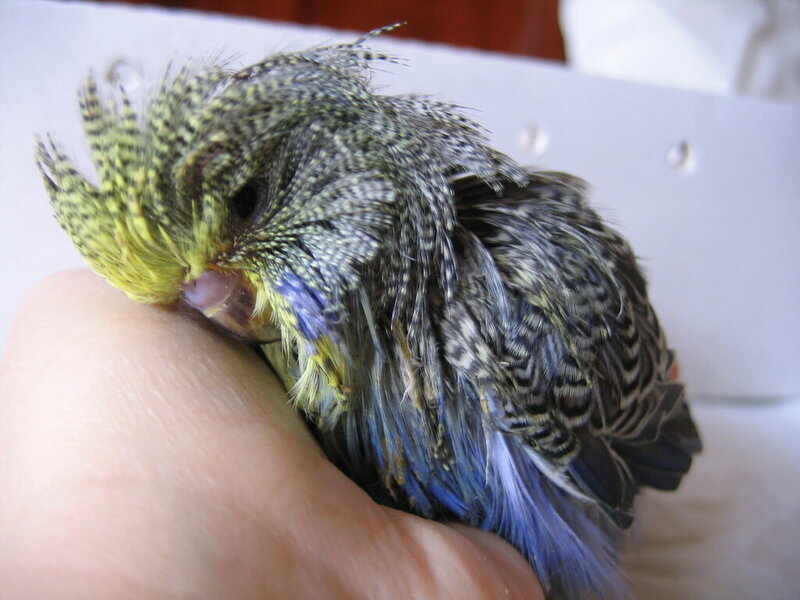 Also I've read the article of Stephen Fowler (http://forums.budgie...showtopic=23257). They are trying to save the poor creature any pain and suffering. Certianly I don't want him to suffer. If I see that he feels an excessive pain I may take the hard decision. But for the present he looks absolutely happy and behaves as any usual young bird does. 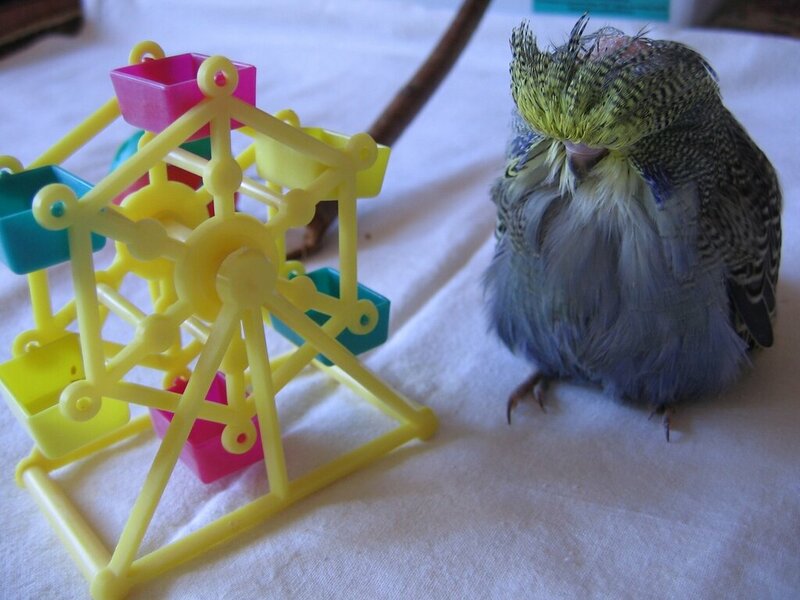 He plays with toys, runs along the playing ground, preens. No sign of any pain or discomfort. For the present (he's 26 days old now) I continue crop feeding, but he also tries to eat grains.I give him spray millet, steamed oats, and usual seed mix as well. Best of luck with him, he certainly seems like a sweetie! What a funny photo, it really does look as though he was sent to the Time Out Corner! It's sad they are such short lived little birds, they certainly have something about them, that tugs the old heart strings don't they. Hope you have him for some time yet. Yesterday he lost all his flights He's a month old now. 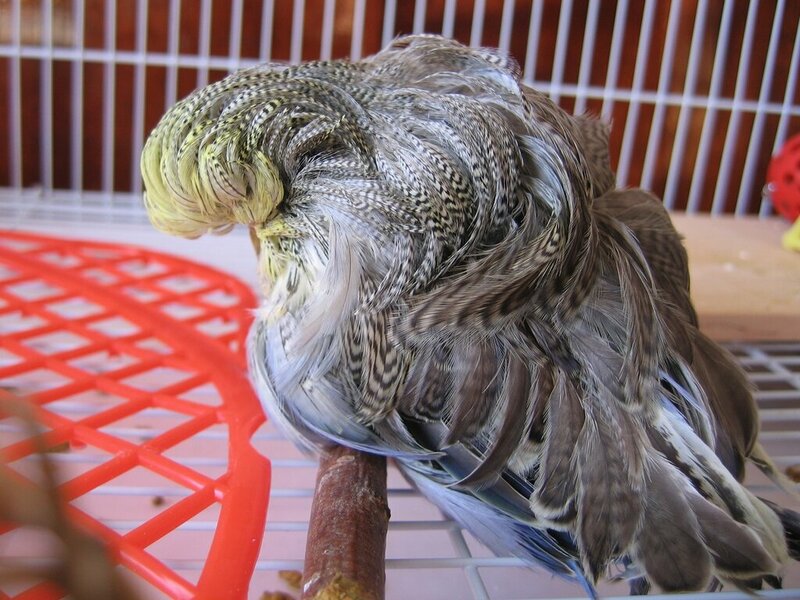 I know that the feather of FD is growing constantly, but I did not expect such a severe and early molting..
Is this normal for FD?.. 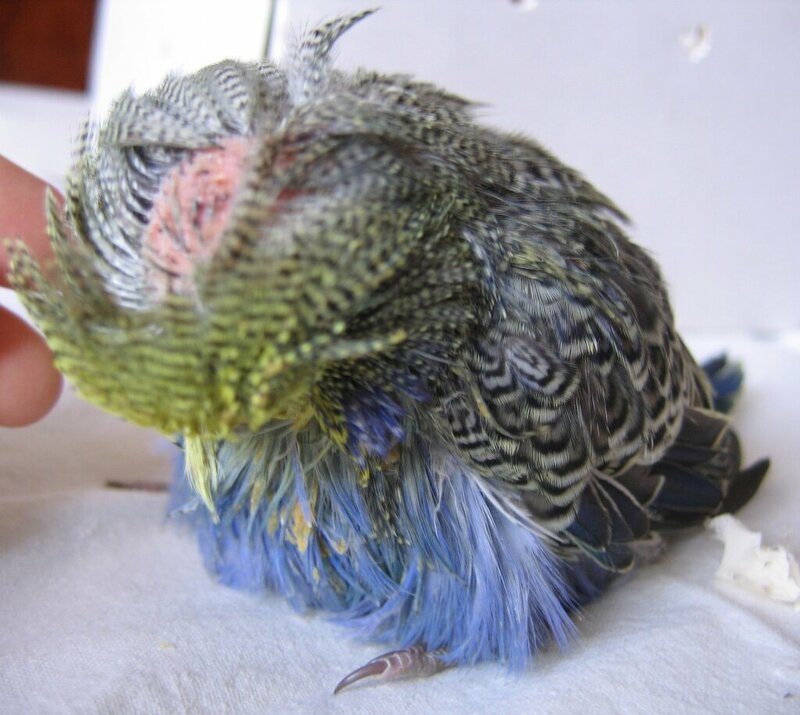 But is the French molt dangerous for other birds? 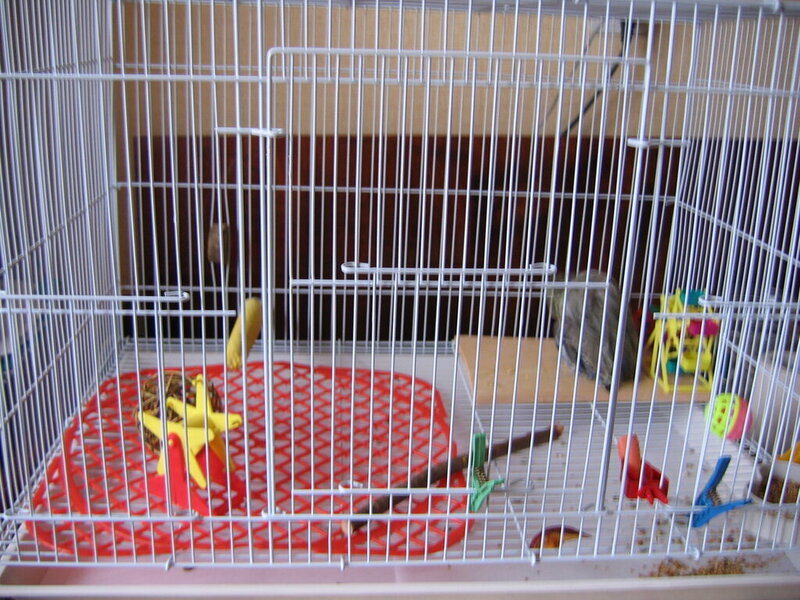 I have 14 budgerigars (FerDinand is the 15th), and all of them stay in one room. 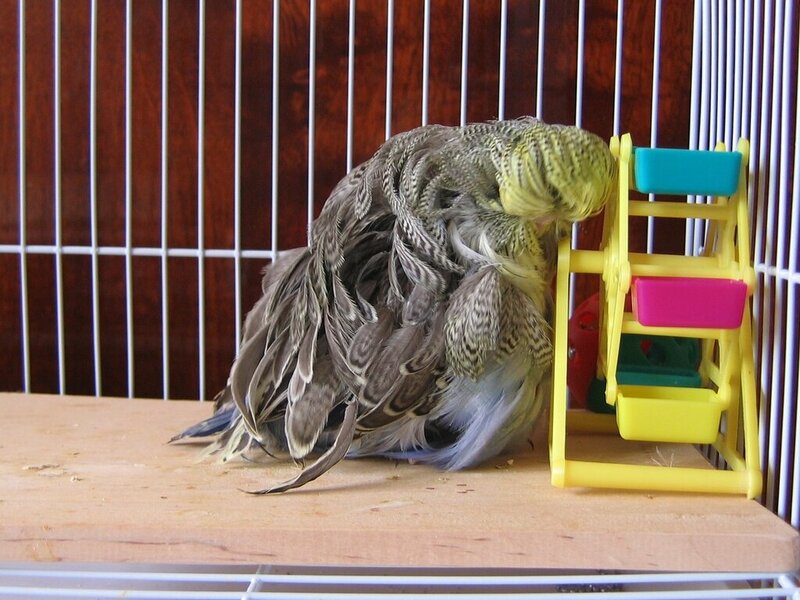 There were not many contacts between them, but still some of them come to his cage and even touch his feathers.. 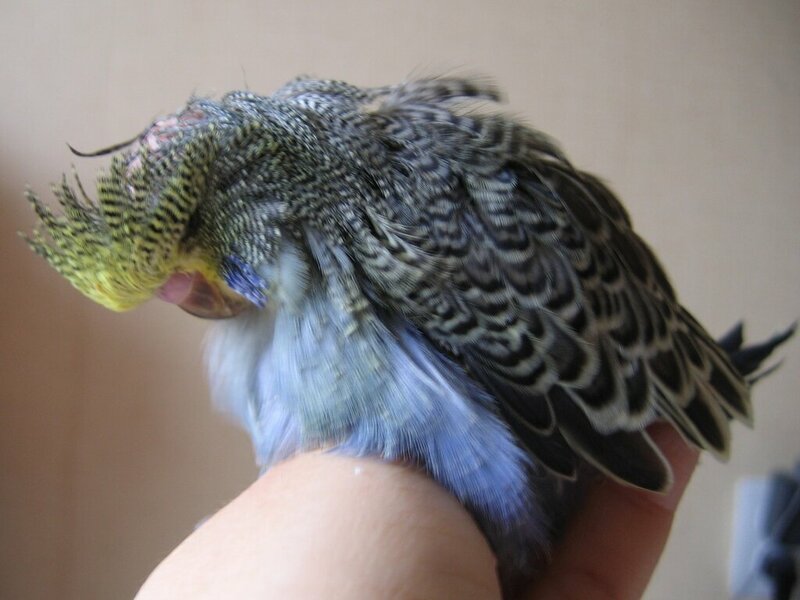 I'm looking for the information about FD on the Internet, and I've found that it's advised to trim the facial feathers in order the bird to be able to see better. 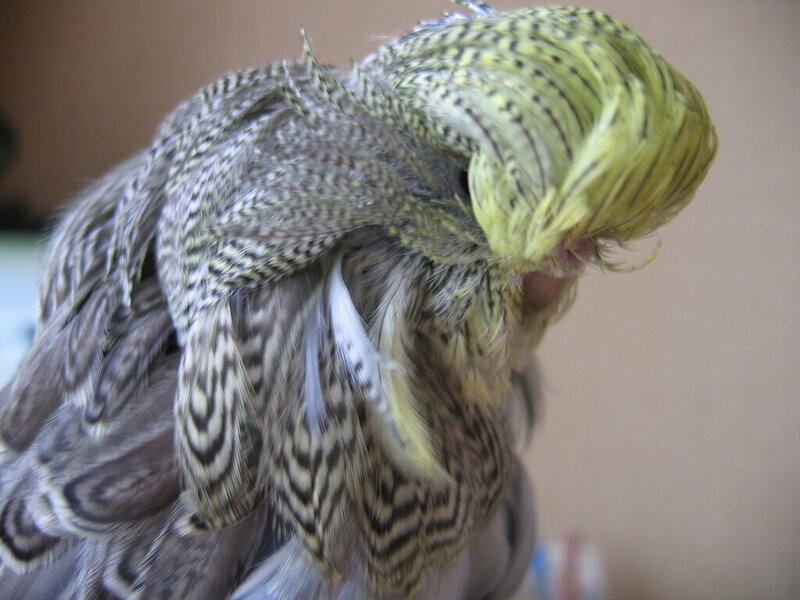 I see, that my FerDinand has troubles because of long facial feathers and I'd like to help him. 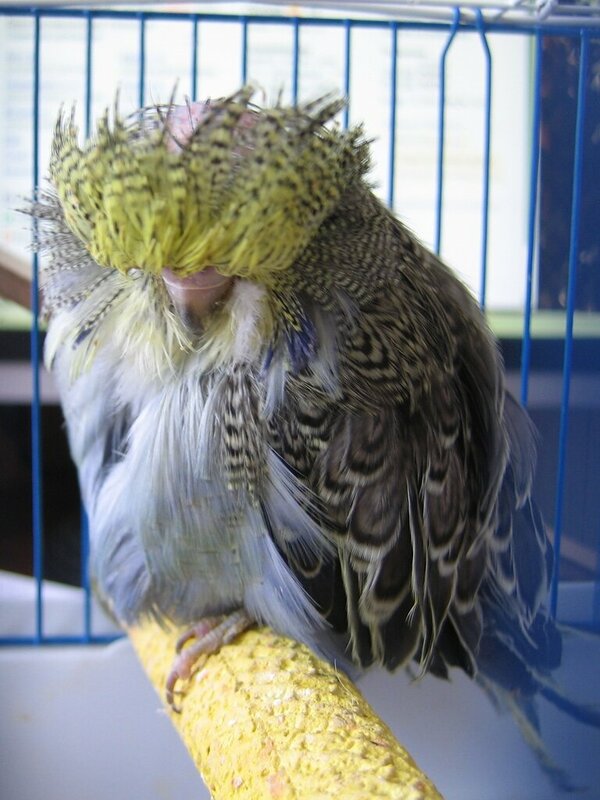 But the story of Stephen Fowler (he cut the facial feahters and the bird died) scares me.. What do you think, if this was just a coincidence, or it's really dangerous to trim the facial feathers? And why? How can trimming affect the question about the live and death?? 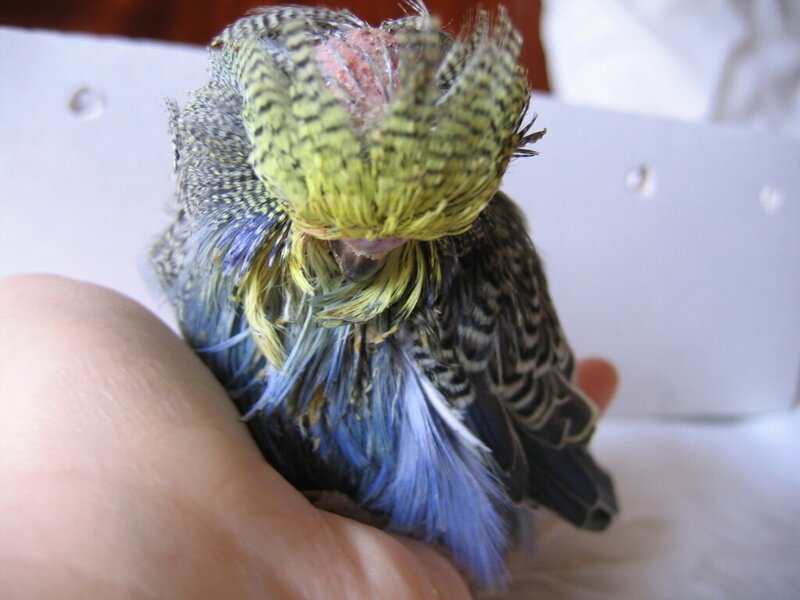 I didnt trim the feathers of mine at all and she coped fine. Trimming may cause the bird to have to replace the trimmed ones sooner and they are already under enough strain in the feather production area already........my thoughts only. Trimming may cause the bird to have to replace the trimmed ones sooner and they are already under enough strain in the feather production area already........my thoughts only. **KAZ**, thank you for the asnwer! 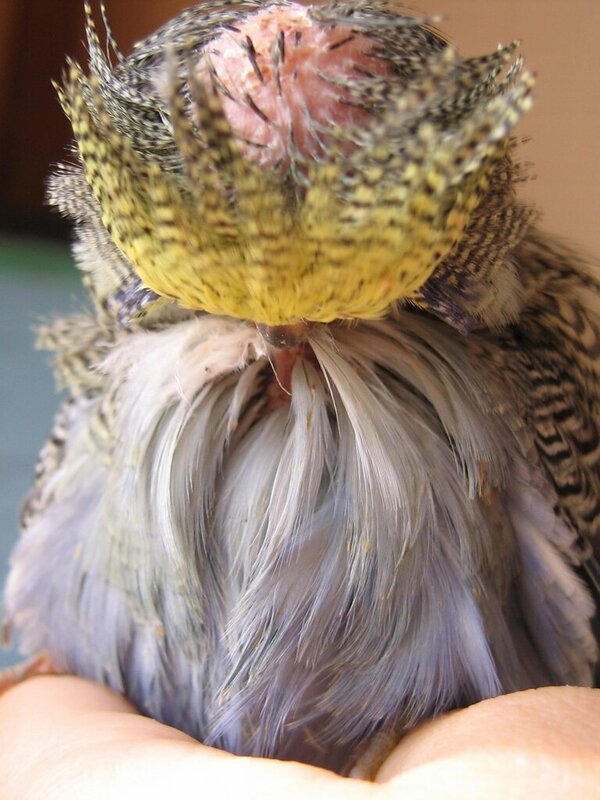 I'm thinking about trimming just a part of the facial feathers, not the whole feather. Do you think, that the genes "understand" that the part is trimmed and make it grow faster? 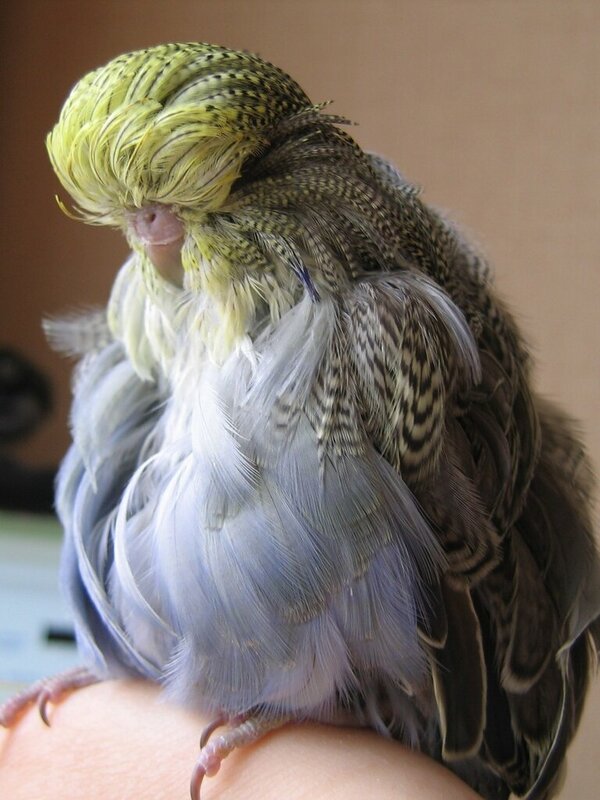 FerDinand copes quite well, but I see that his vision is limited with his facial feathers. I think, it'll be easier for him to see all around with shorter ones.. I would trim them a little bit. 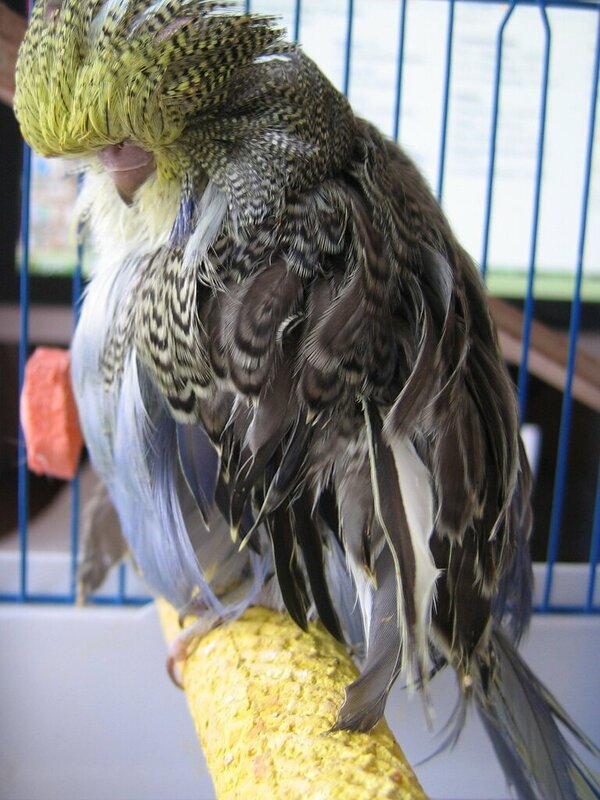 Trimmed Feathers wont grow..I have a FD just a little older than yours.. 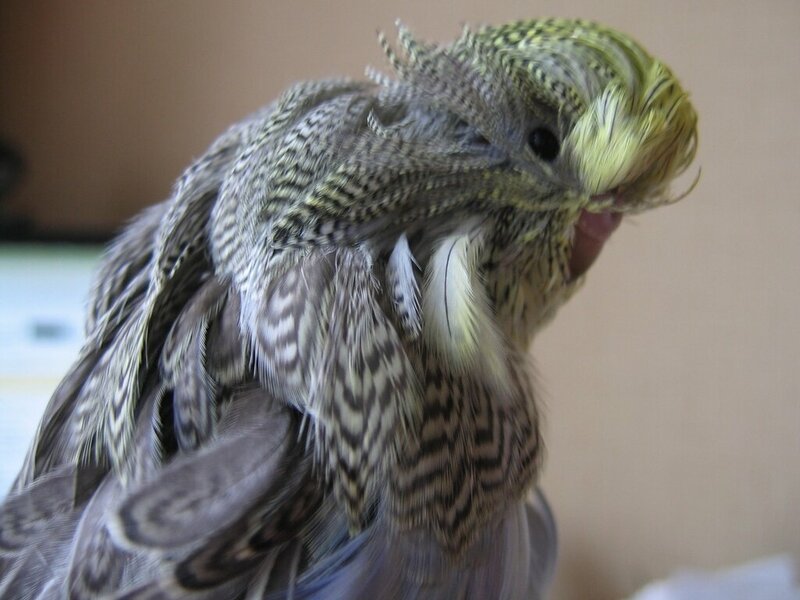 Trimmed feather do regrow..................why do you think some budgie breeders trim a tail feather so it dies and drops out in enough time to regrow another ready for the nationals ? 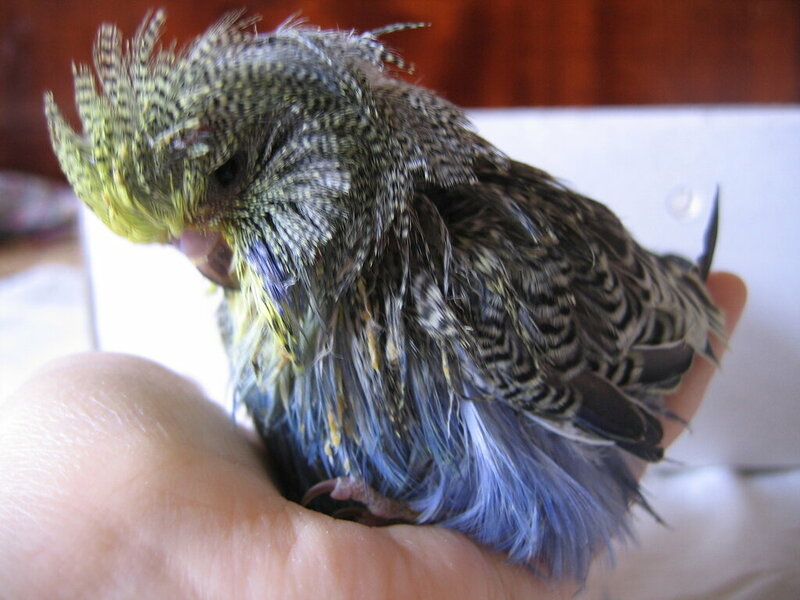 Not all breeders will pull a tail feather in case it damages the feather follicle and then wont regrow. 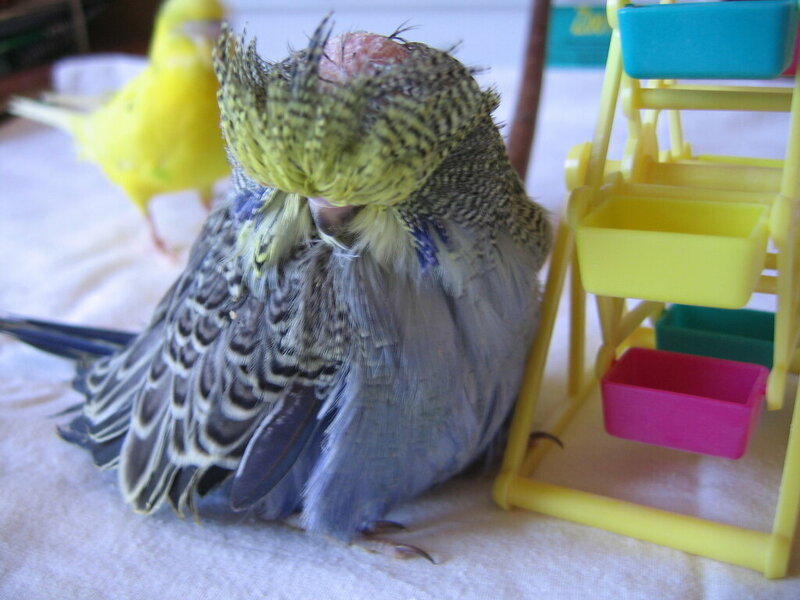 To say a trimmed feather wont regrow is sheer nonsense. 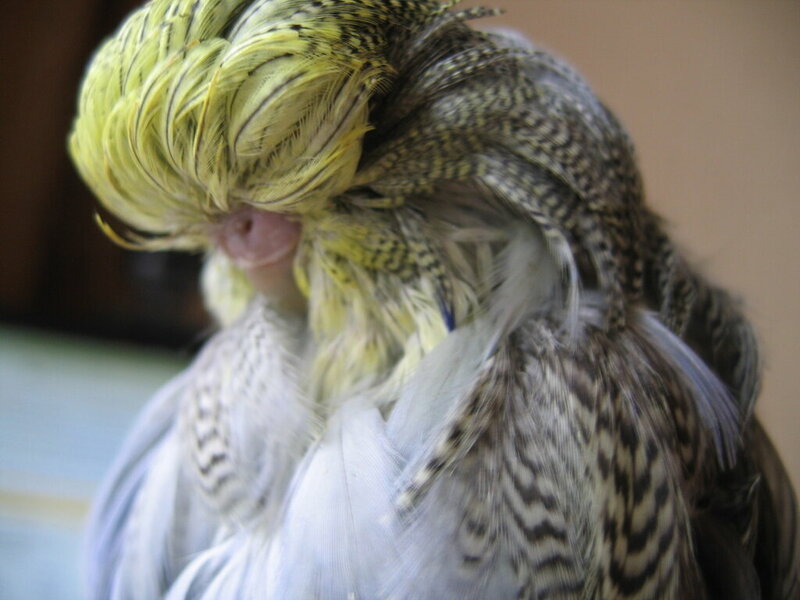 Sure they wont grow longer like hair does but they will die and need to replacement and replacing feathers isnt what a FD needs to be doing more than it has to. Under normal circumstances a cut feather dies and drops out and then needs replacing. That would create an extra toll on a duster. 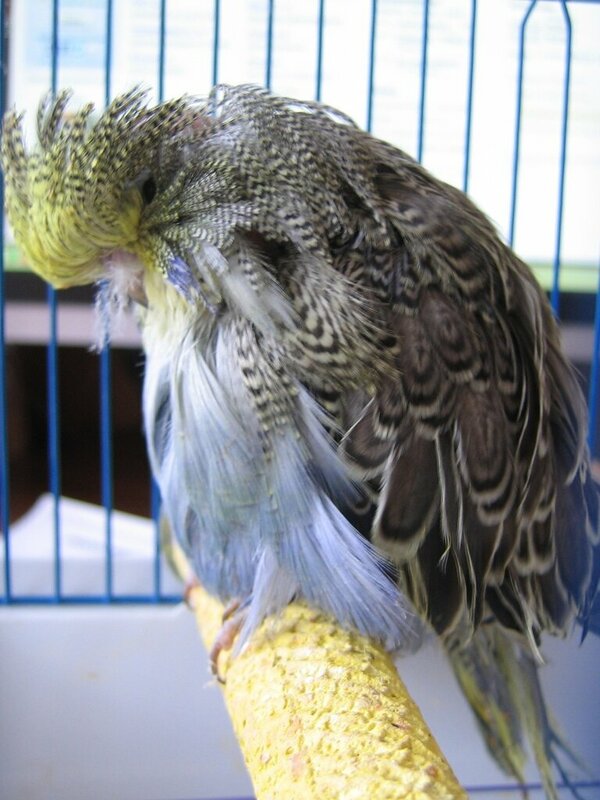 Even a blind budgie can find its food and water, so a duster will be able to as well. Dusty could still see me coming from 12 feet away. Twisted, how old is your FD? Can you show his (her) picture? 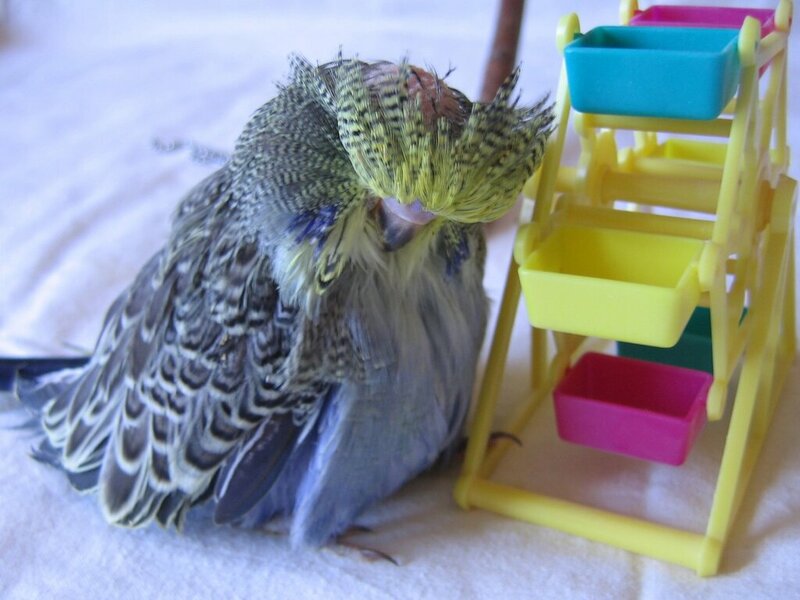 Do you trim his (her) feathers regularly? 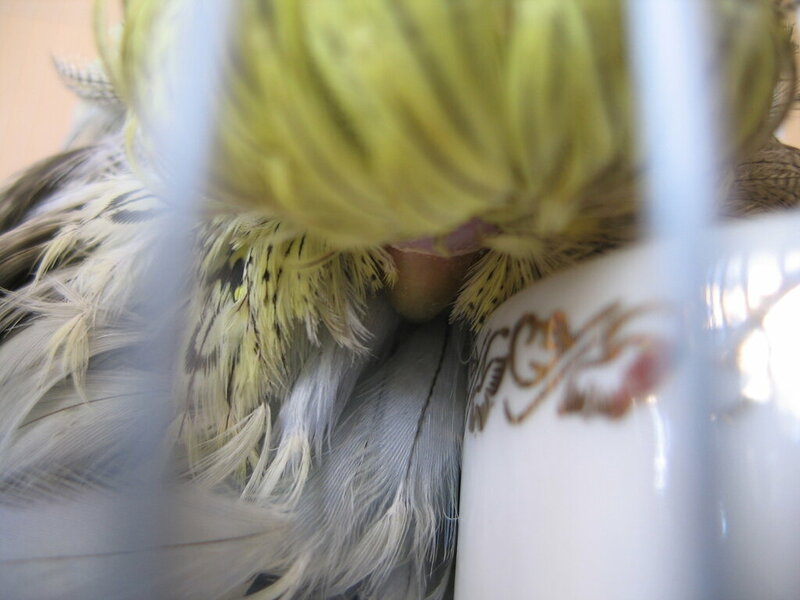 Under normal circumstances a cut feather dies and drops out and then needs replacing. That would create an extra toll on a duster. **KAZ**, thank you for your explanations! 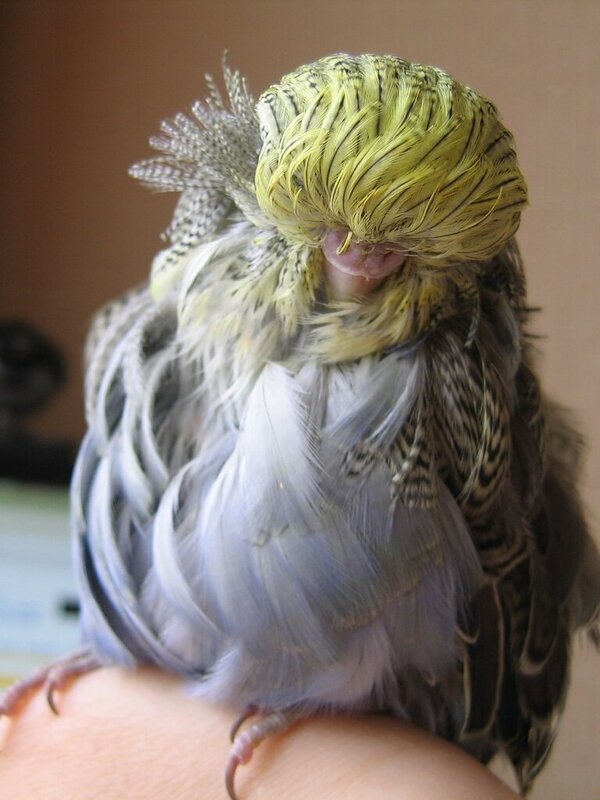 I guess, I don't know well the process of feather growth, but I still don't understand, why it will be extra loading? 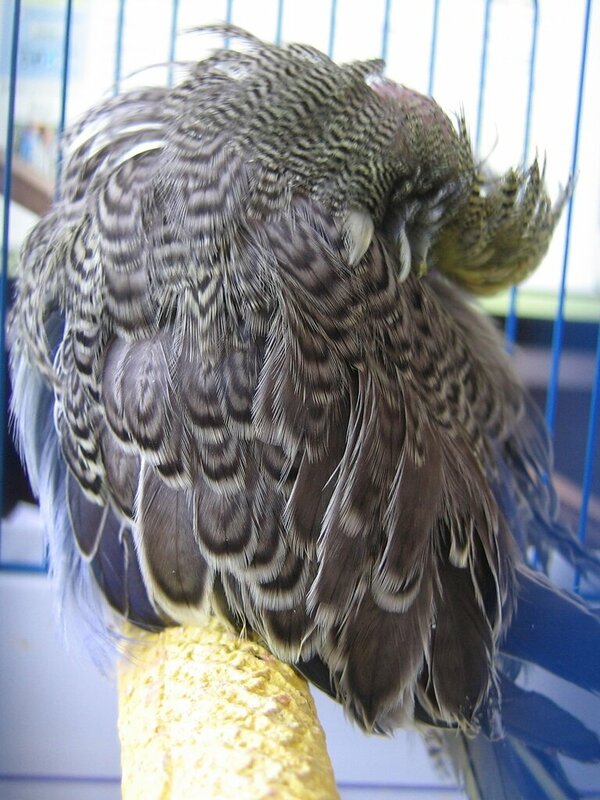 FD genes make the feather grow constantly. 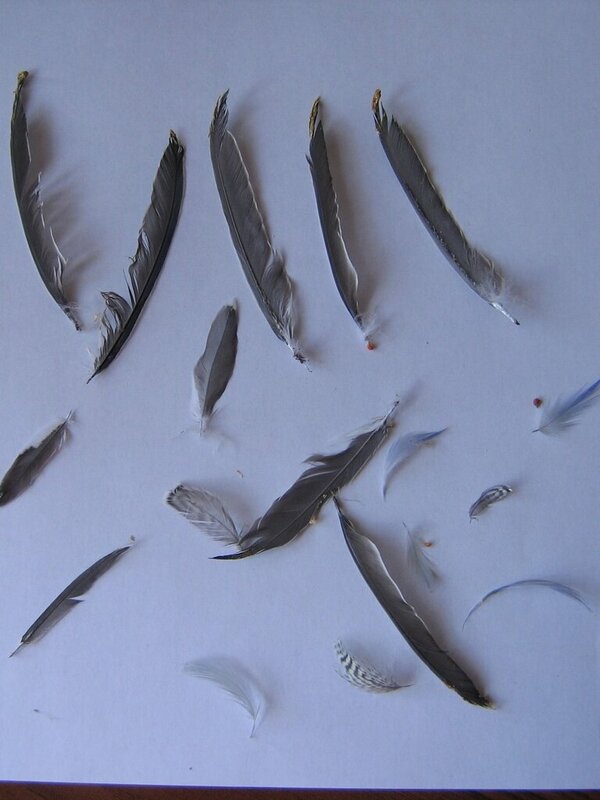 If some feathers are lost, the process will continue. 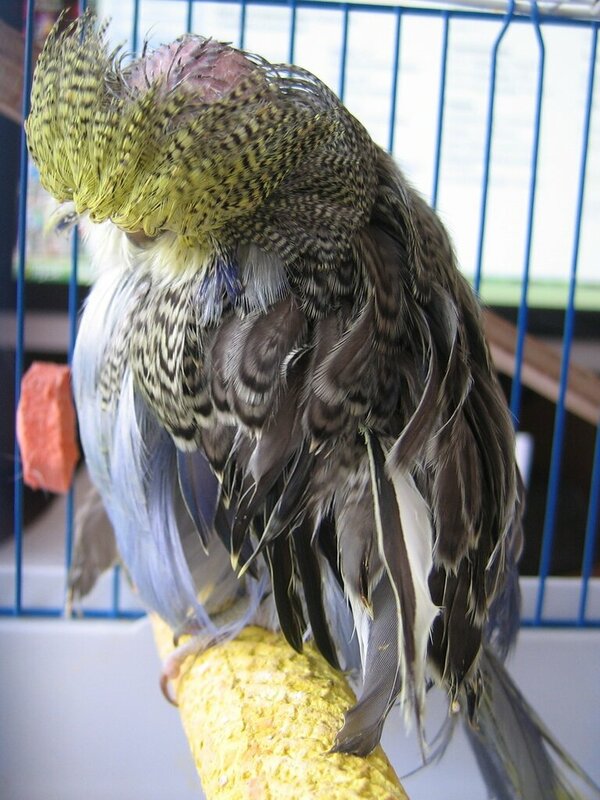 If some feathers are trimmed - they will fall out? Immedialtelly after trimming? Or they will remain for some time on the head? Or they will continue to grow even trimmed ones? When exactly this extra loading appears? Unfortunately there is no way to learn from the birds, what is the best for them. 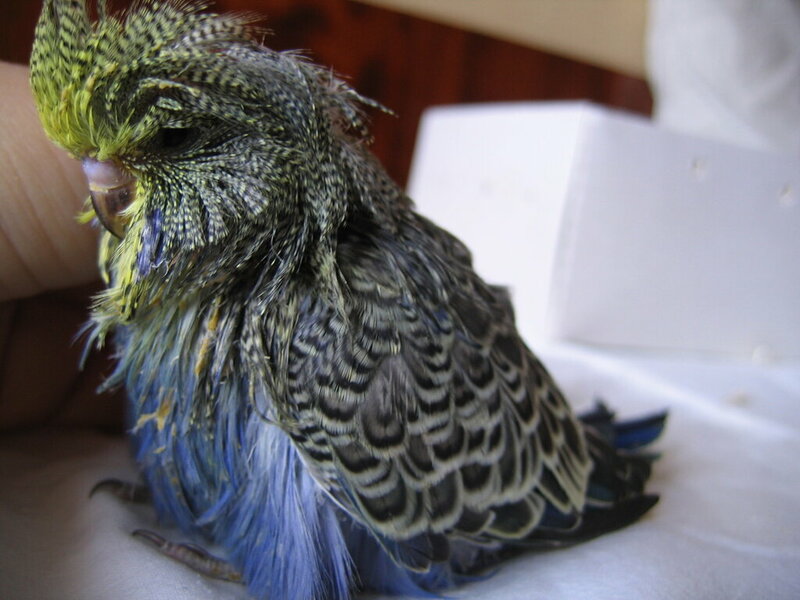 I guess, that a wild bird even with unusual appearance is "prepared" for its life by the Nature. But such birds, like FD, who are the result of human actions, are unlikely "prepared" well for their lives. Certainly we have the wish to make their lives easier and more comfortable. But it's so difficult to realize, what is better for them and what can make worse.. 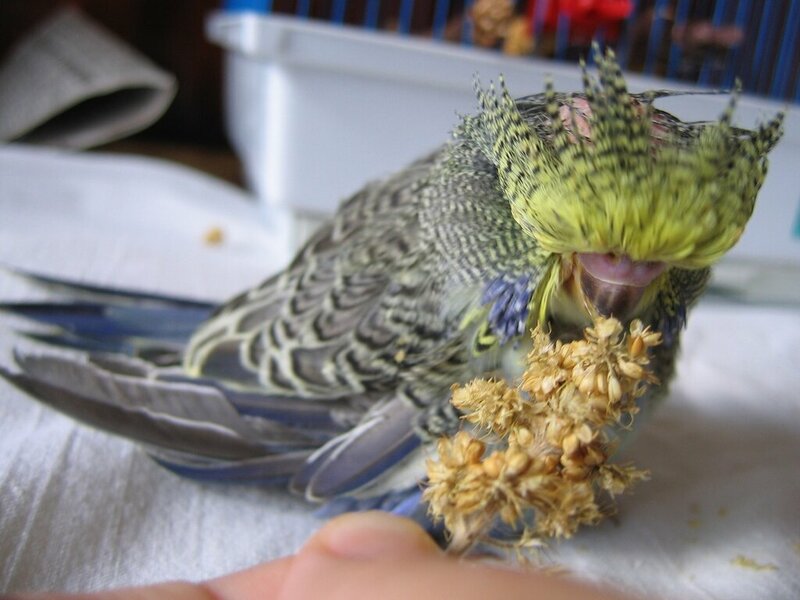 Dusty was such a cute bird! 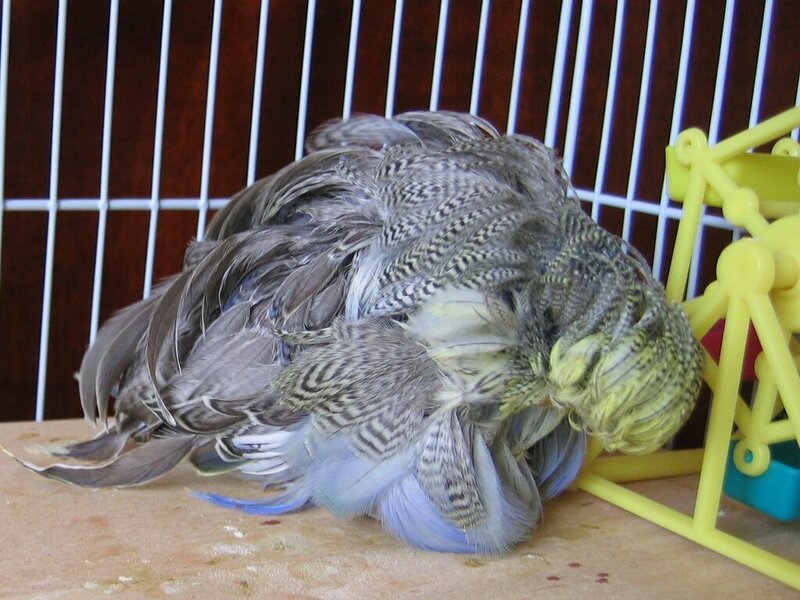 I said trimmed feathers won't grow ..Not regrow when fallen out... .. 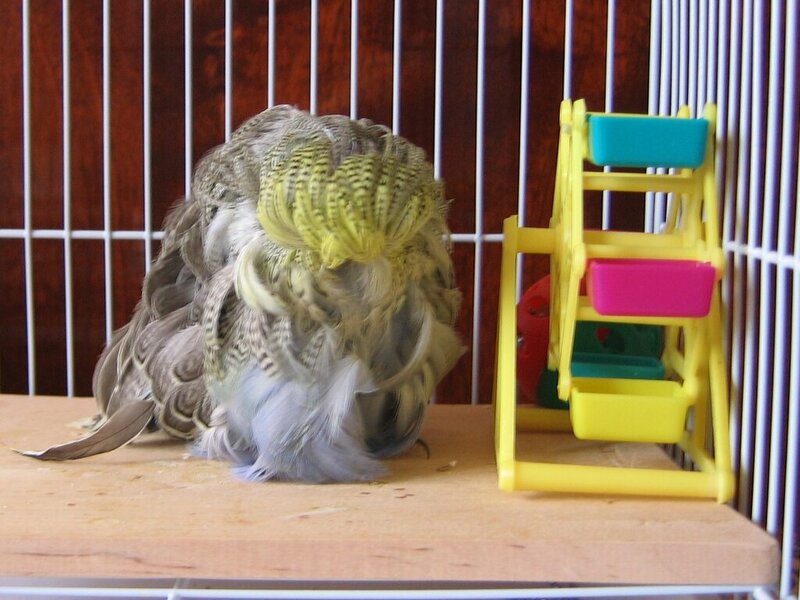 When I trim vent feathers I can breed for the season without needing to trim again. When I have plucked in the past I need to do it again between rounds. 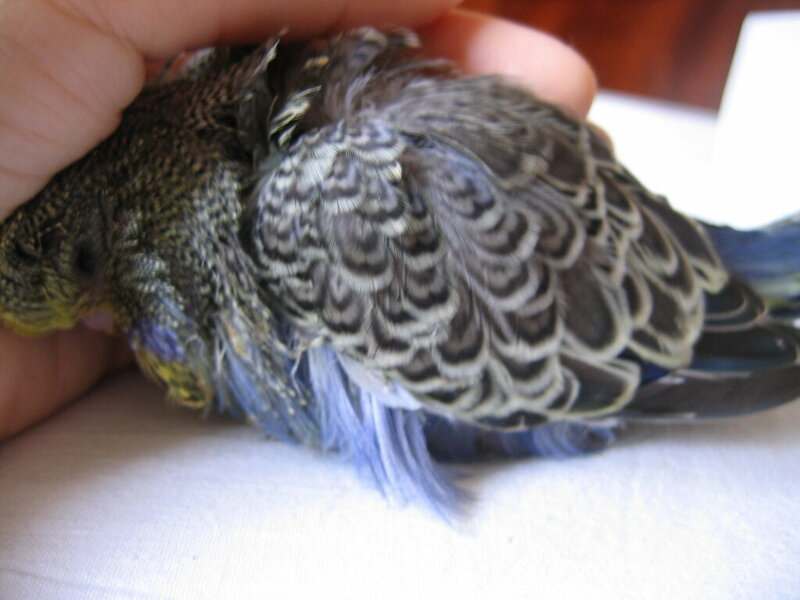 People trim flight feathers to stop their pets from flying away. 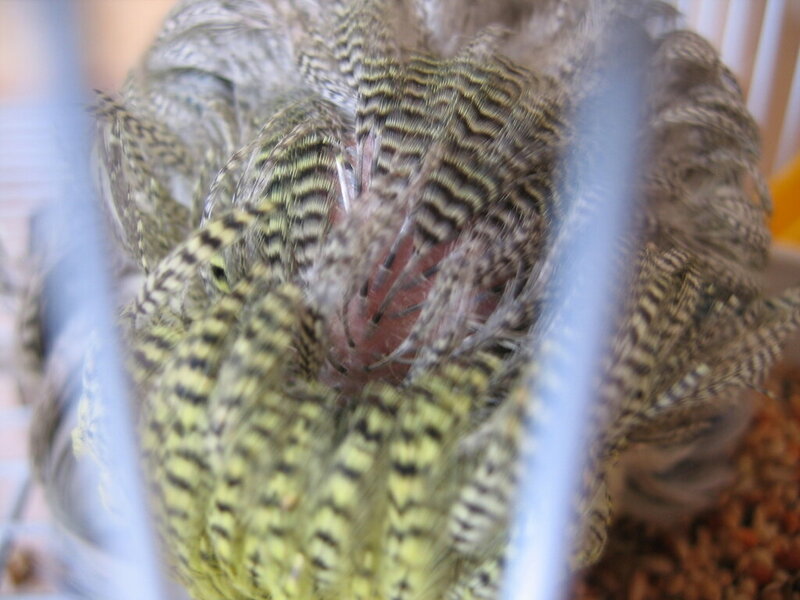 Usually they will grow back after the bird has moulted. ( this is my opinion anyway ). 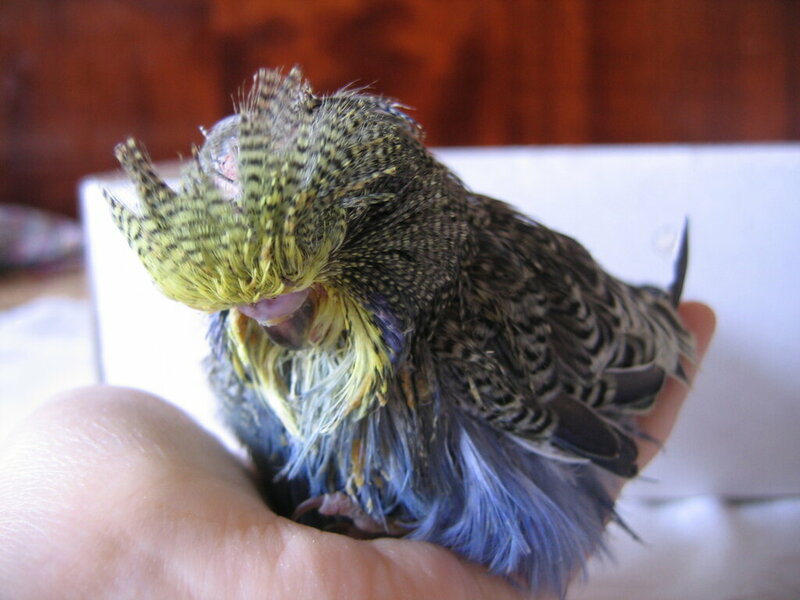 Reason that I trimmed my FD was that Feathers were growing back into the eyes making them very weepy. and also the poop was getting clagged up around the vent area. I will take a picture of my FD TaniaOK and post it here. It is around 3 months old and doing quite well. 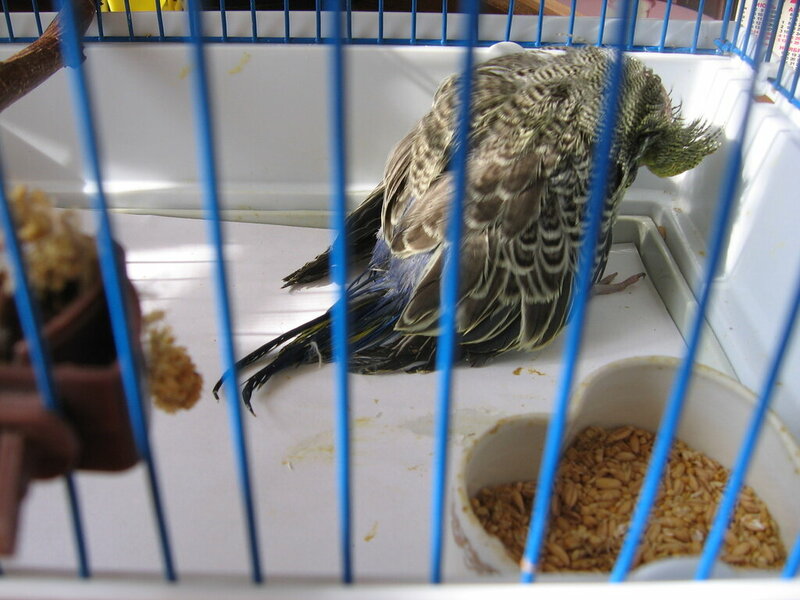 I have not had the need to trim this bird as feathers are not causing it any problems as yet. 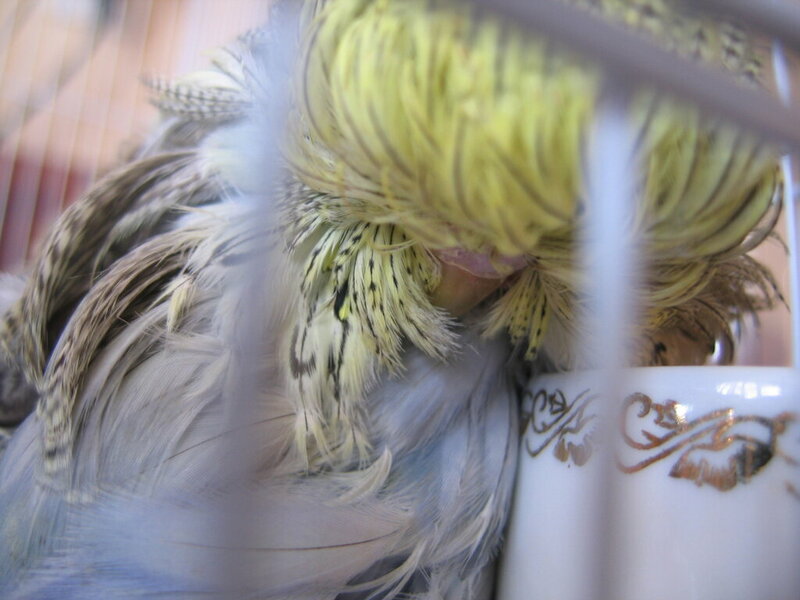 Reason that I trimmed my FD was that Feathers were growing back into the eyes making them very weepy. and also the poop was getting clagged up around the vent area. Twisted, I see, you already had the experience with FD? Can you tell about that? 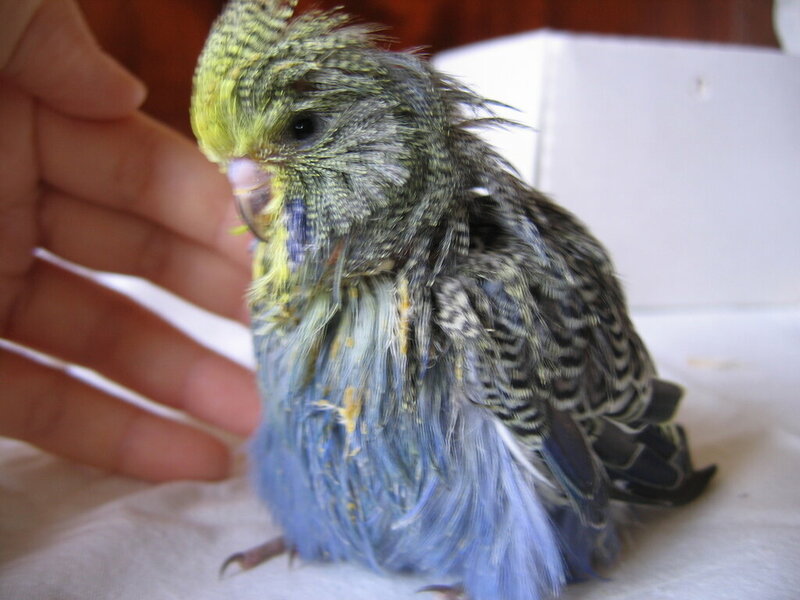 He eats mostly "Tropical finches Prestige". Now he is 1 month 20 days old. 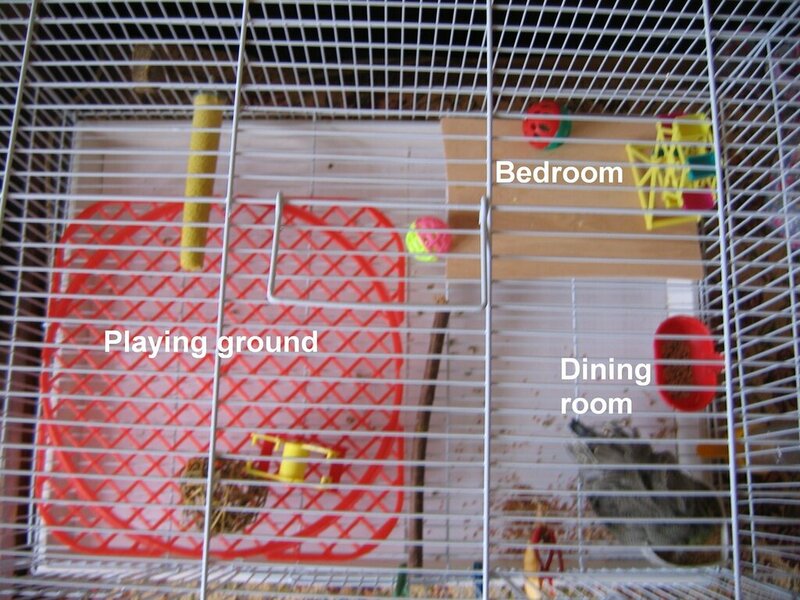 You have done a great job with him, I also love the cage and I had a giggle at the playground , dinning room and bedroom so cute. Hi how is Ferdinand going....Here is a picture of my FD. Around 2 to 3 months old and very happy. Twisted, thank you very much for the picture Your FD looks very cute! He/she is GF like mine? My FerDinand is going very well, he's active, plays much on the playing ground with toys. He mostly walks with his head bent to the floor, I think, it's because he can hardly see around. And how does your FD walks? Sleeps? What he/she eats? Lovely pics guys, Both doing well. While on subject of F.D. is it known, say if you get one chick in a clutch, are you likely to get more from that pairing or is it just a one time thing that can pop up or is it "Parent has to have the gene" type of thing.